Designed and delivered with pure commitment to exclusivity and supreme class, this stunning brand new residence provides luxurious dimensions and is truly one of the most exquisite masterpieces in the area. Developed by boutique master craftsmen, the quality build has produced a new benchmark in prestige living, highlighted with state of the art techniques through formal and informal living zones amidst the finest of finishes and tranquil garden spaces. Spanning over two exemplary levels with huge rooms throughout, the residence comprises four bedrooms and three bathrooms plus separate powder room. 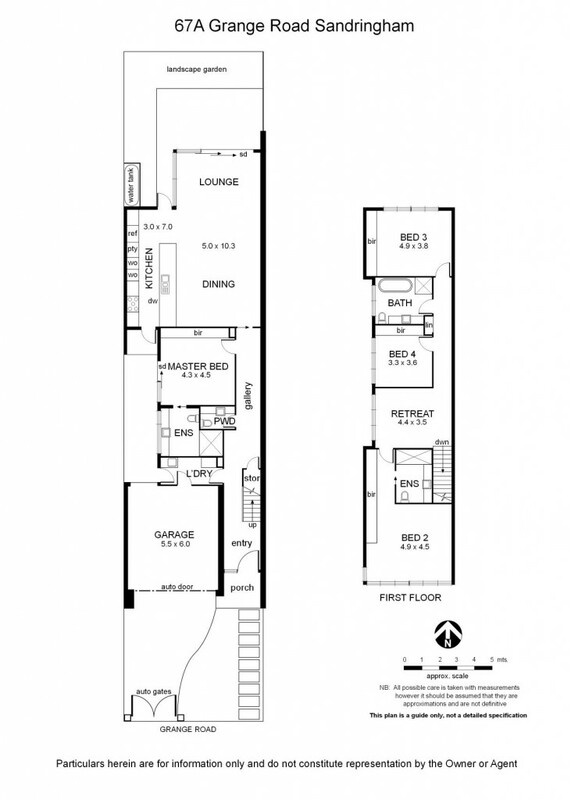 Master bedroom and ensuite both downstairs and upstairs offer flexibility and includes living areas on both floors. Stunning kitchen with extensive Miele appliances and stone benches adjoins the huge open plan living and dining areas which flow perfectly onto entertaining deck and surrounding garden areas which face favourably to the north and receive an abundance of natural sunlight. Further luxury features include; 6 Star energy rating, ducted heating and refrigerated cooling, ducted vacuum, video intercom, alarm system, oak floorboards, bluestone paving, water tanks, double auto garage and direct entry, private front gardens entered though automatic gates etc. Elite lifestyle location within moments of Sandringham Shopping Village, parklands, bus and train station and numerous quality schooling options.